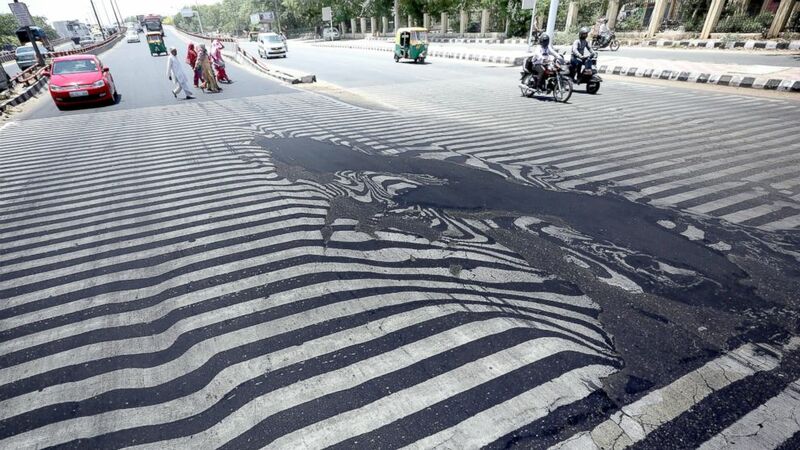 The death toll from 113-degree heatwave in India surpasses 1,100.
camera (Harish Tyagi/EPA) Road markings appear distorted as the asphalt starts to melt due to the high temperature in New Delhi, May 27, 2015. Temperatures in the southeastern states of Andhra Pradesh and Telengana have reached 113 degrees in the past two days, The Associated Press reported. 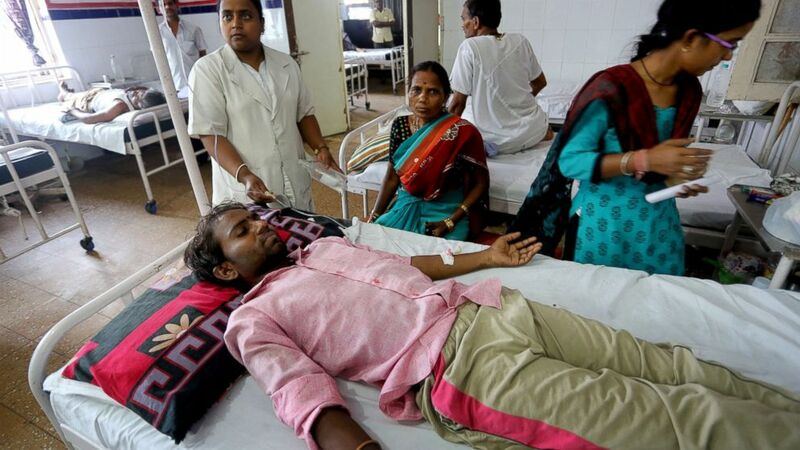 More than 1,100 people have reportedly died in the past month from heat-related causes in those two states, with at least 852 dead in Andhra Pradesh. (Harish Tyagi/EPA) Road markings appear distorted as the asphalt starts to melt due to the high temperature in New Delhi, May 27, 2015. 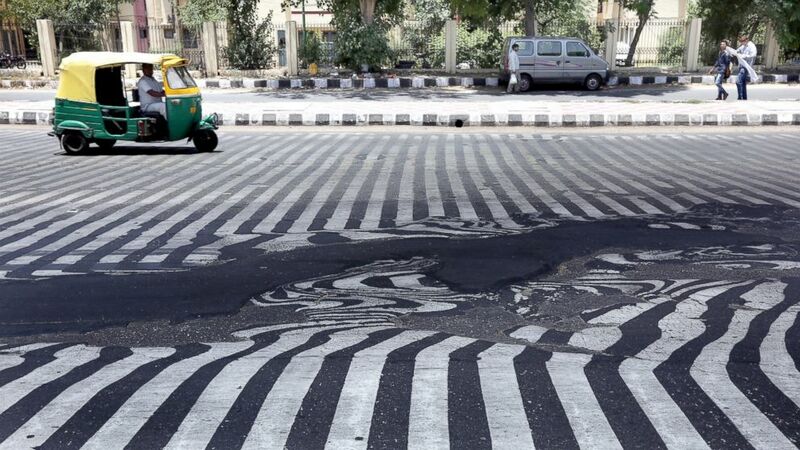 Photos show asphalt road surfaces melting in New Delhi, disrupting road markings in the city. 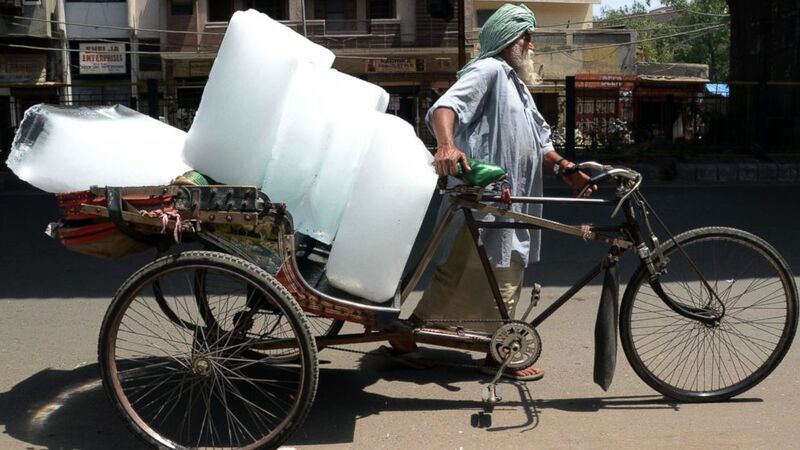 (Narinder Nanu/AFP/Getty Images) An Indian worker uses a ricksahw to transport ice from an ice factory in Amritsar on May 27, 2015. More than 1,100 people have died in a blistering heatwave sweeping India, authorities said as forecasters warned searing temperatures would continue. A drought in much of India, along with a busy typhoon season, could spell trouble for a billion people in Asia this summer, according to AccuWeather. Public announcements urge people to drink water and stay indoors during the hottest hours of the day, the AP reported. (Sanjeev Gupta/EPA) Sunil, 30, gets medical treatment in Jai Prakash Narayan hospital after suffering sunstroke and severe dehydration in Bhopal Madhya Pradesh, India, May 27, 2015. El Niño, a warm phase of the fluctuation of sea surface temperatures in the tropical Pacific Ocean, is likely leading to an above-average number of typhoons and super-typhoons, AccuWeather reports. But El Niño may displace the already-delayed monsoon, leading to below-normal rainfall in India. 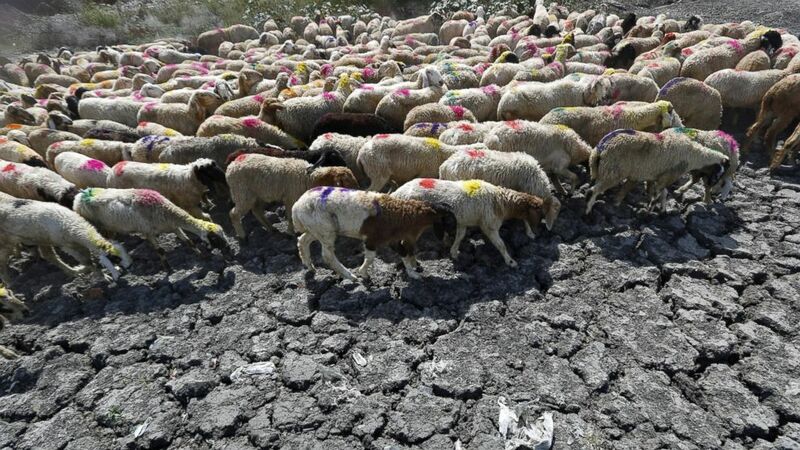 (Anindito Mukherjee/Reuters) Sheep cross a parched area of a dried-up pond on a hot summer day on the outskirts of New Delhi, May 27, 2015. Weather officials blamed northwesterly dry and hot winds from the desert state of Rajasthan for the extreme heat. 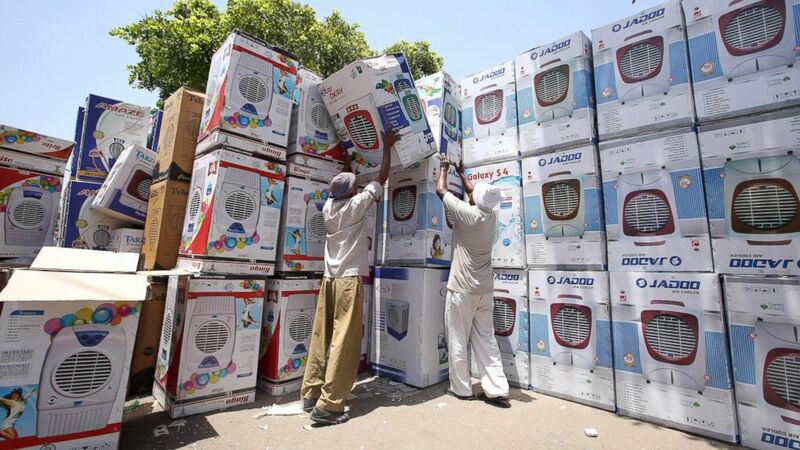 (Rajat Gupta/EPA) Indian laborers prepare air coolers for sale as temperature rises in New Delhi, May 27, 2015.